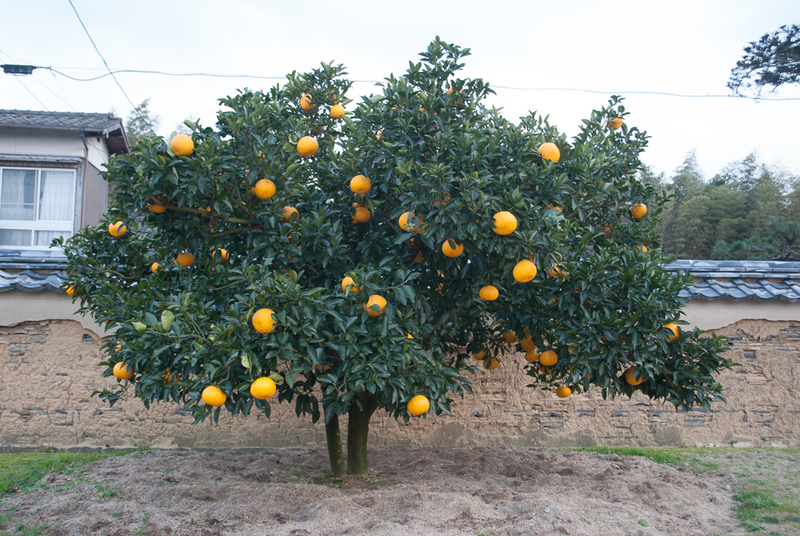 Hagi (my hometown in Japan), is famous for oranges. They are everywhere, like colourful ornaments on permanent Christmas trees. I really liked the rustic wall backdrop to this little tree and thought it should be the second ‘orange’ featured post on my blog. See the first here. To add something extra photo and compliment the rustic look, I decided to try and create a vintage look in Adobe Lightroom. You can take a look at the before image here (RAW, straight out of the camera). If you like the effect, please feel free to download it as a preset and see how it looks on some of your own photos (click on the monkey). For a tutorial on how to install and organise presets in Lightroom please check out this post over on Lightroom Killer Tips (which is an amazing source of Lightroom tutorials, videos and great free presets). Goof choice to fade the tones! Interesting!